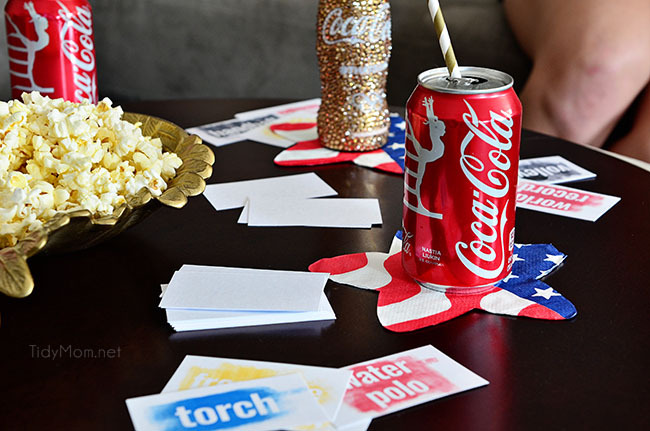 #ThatsGold fun game the whole family will love! I always have a hard time deciding which Olympic Games I like better….summer or winter. I’ve always loved the figure skating in the Winter, but the Summer has so many cool events, like synchronized swimming, gymnastics, equestrian and diving! It’s all so fun to watch. Do you know there is roughly 356 hours of coverage per day for 19 days. If the 6,755 hours ran on one channel, it would take 281 days to air it all. We many not be able to watch it all, but we can bring the excitement a little closer, no passport required! I created a fun game that covers a lot of the events from the Rio 2016 Summer Olympics. 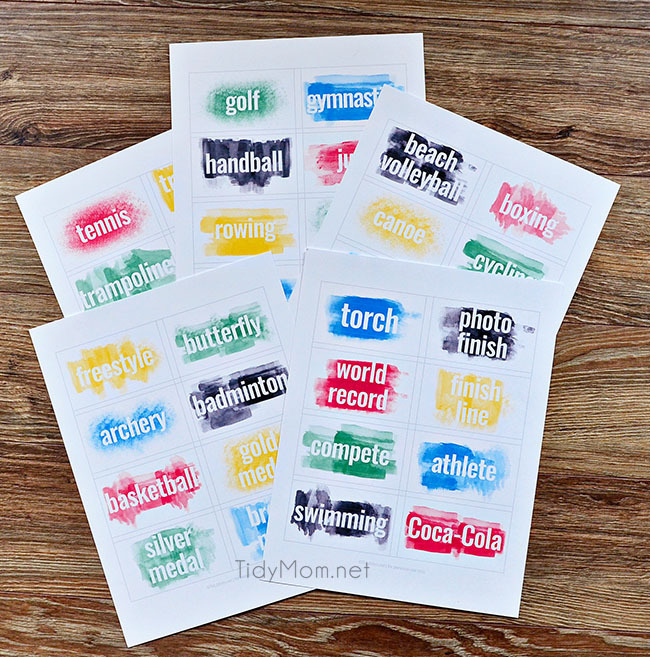 Heads Up –ATHLETIC COMPETITION PRINTABLE GAME is fun game perfect for family game night or parties of any age. Recently I shared my #ThatsGold moment with you guys, about how I love getting my family together for Sunday dinner AND cooking something that EVERYONE likes!! Eating dinner together around our family table has always been important in our family, but now that the girls are both in their twenties I love that they still make time to have dinner as a family. 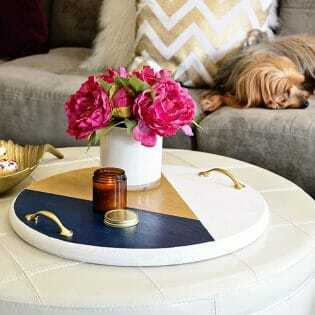 After dinner, if we don’t gather around the table to watch a movie, a baseball game, or, right now, the Rio 216 Olympics Games we love to play games. It fills my heart with so much joy at the amount of laughter in our home on those nights. I’m usually brought to tears, from all the laughing. I got pretty lucky in the mom department! One of our favorite games to play is Heads Up. If you aren’t familiar with the game, it’s an app for your mobile phone or tablet. The game is like a reverse version of charades. Instead of one person trying to act out a word to a team of players, the team of players are trying to get one person to guess the word they are holding up. It can get loud and crazy with several people screaming clues as the timer ticks away. With our recent excitement in watching the Rio 2016 Olympic Games, I thought it would be fun to play Heads Up with a nod to the Olympic Games. You don’t even need a smart phone to play. 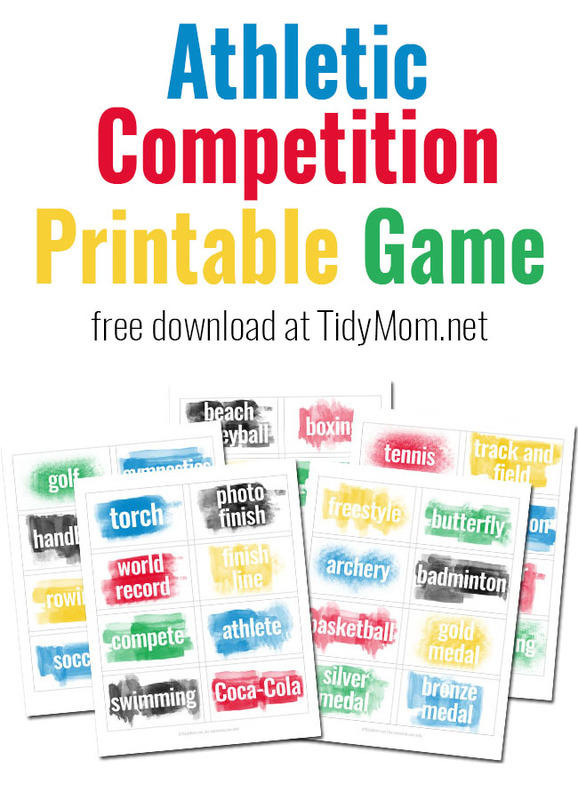 This Athletic Competition Printable Game can be printed on card stock and played by holding up the cards in-front of you, instead of a mobile device. So last week, as we watched the games and rooted on our favorite athletes, we had a blast playing our own game! first download the free game cards (there are 5 pages of 8 cards, totally 40 cards). 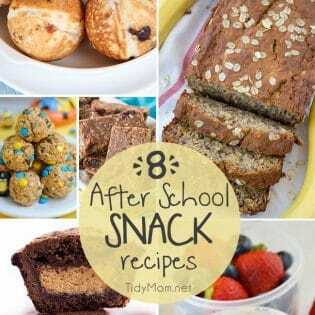 Card stock works best. Print at home, and cut using the guides on each page. The game is best played with 4 or more players. Shuffle the cards, and place the stack in-front of the first ‘player’. Without looking at the card, the ‘player’ holds up a card facing the other players. The other participants shout out clues to get the ‘player’ to say the word on their card. If the ‘player’ says the word correctly, they place it face up on the table, and continues with another card. If they ‘player’ wants to skip a card, they should place the card face down in the center of the table. The ‘player’s’ turn is over, when the timer goes off. Pass the deck of unplayed cards to the next person, and continue playing, tossing any skipped cards to the discard pile in the center of the table. Continue playing, with each ‘player’ getting one minute on the timer. The game is over when all of the cards in the deck have been played/guessed or discarded. The player with the most cards wins. “optional” you can continue to play with the discarded cards, and play until no cards are left. 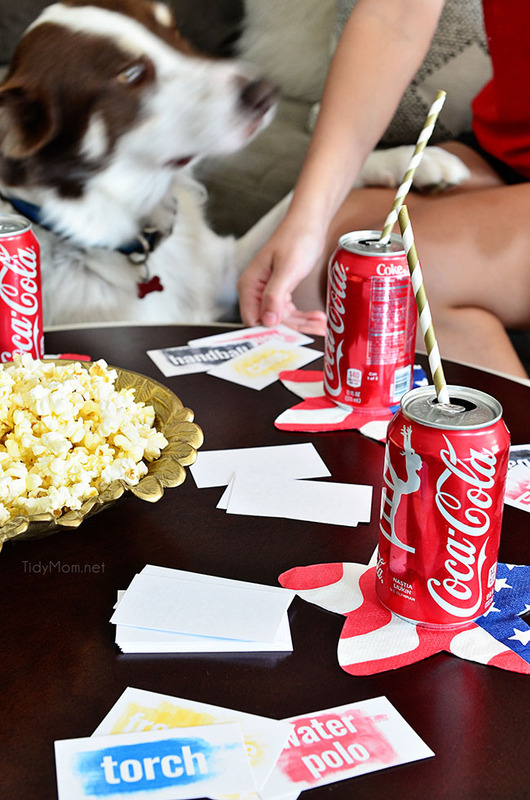 Of course we played the game while we munched on some of our favorite snacks, sipping ice-cold Coca-Cola. 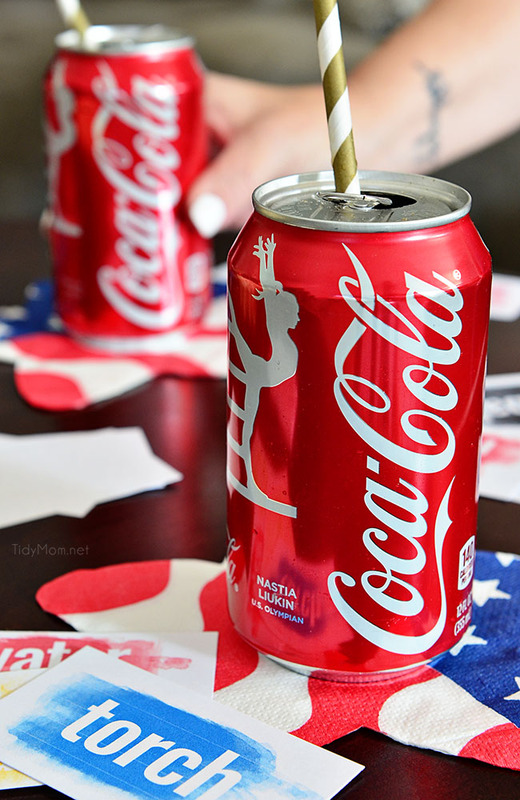 FIY, you can find Coca-Cola cans with Olympic Games packaging at major retailers right now. I would love to hear about your #ThatsGold moments, no matter how big or small. Leave a comment here telling me about them or snap a picture of your #ThatsGold moment and share with @CocaCola on Twitter and Instagram with the tag #ThatsGold. While you’re printing your game cards, check out a few of these inspiring Olympians and their #ThatsGold moments below. See more and tune into the Rio 2016 Olympic Games now through August 21 only on NBC. What a FUN game! We love the Olympics. Can’t wait to play! Very neat what font is this? Is the Olympics the only one you have?